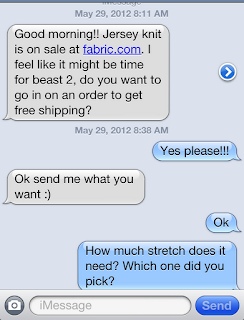 Awesome texts from my sewing buddy Holly when I checked my phone this morning! 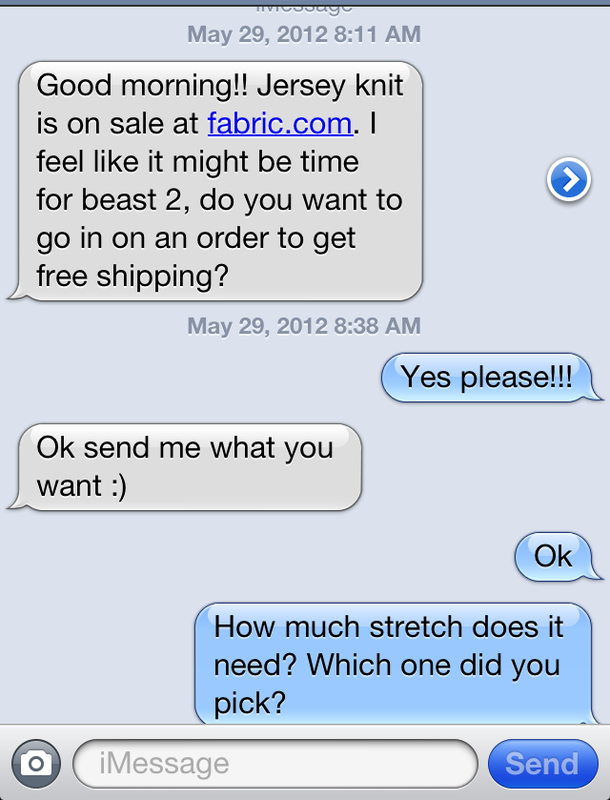 We're tackling Beast 2.0, and she spotted a great sale on knits from Fabric.com! Order together to combine shipping? Heck yeah! 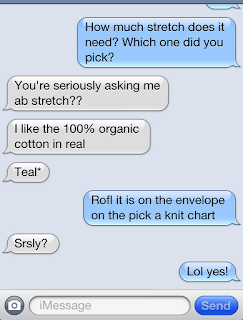 Yes, deep texts by Holly and Stacie. So check it out. See that blue line on the bottom of the envelope with the arrows? It reads, "Stretch (crosswise or lengthwise) 4" (10cm) of Folded Knit From Here ----------> to Here." 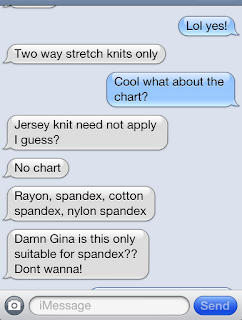 What you do is compare your knit at a store or in your stash to see if it works. When shopping online you do math. If you have 4" of fabric and need it to stretch 2" more to reach 6". Two inches is 50% of four inches. 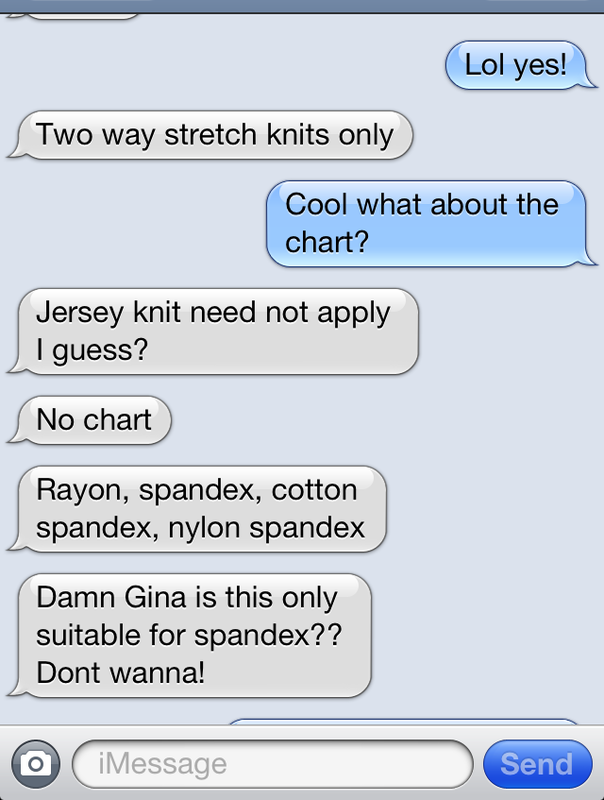 So when you are ordering fabric it needs to have 50% stretch. If it has less stretch it will be too tight. If it had more stretch it will be big. Either way you will have to adjust your fit accordingly. 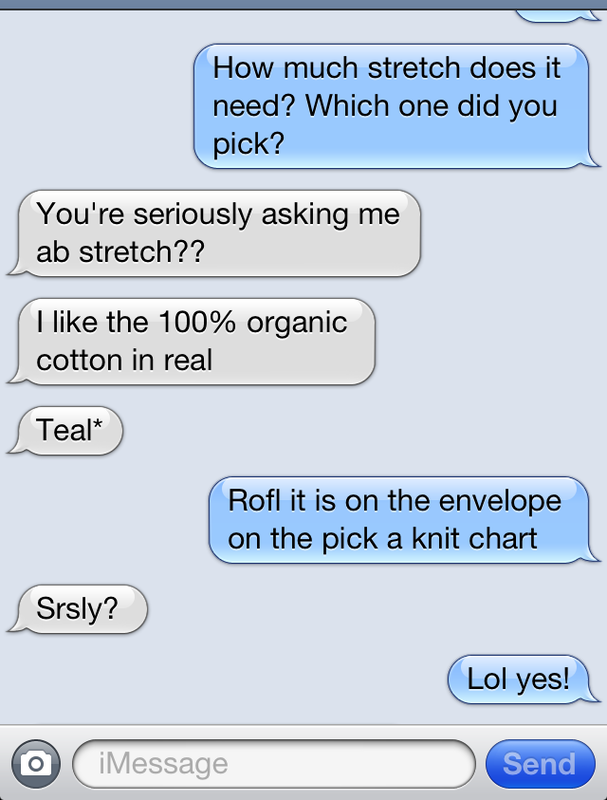 I generally just try to find a fabric with the right amount of stretch. By the way I was LOLing and ROFLing with Holly, not at her. :-) I learned the hard way on this one myself! thanks for the info.. So helpful. 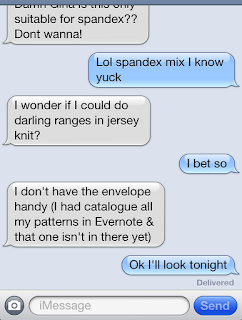 Does your sewing buddy live close to you? SO you can shop together? I would love to have a close by sewing buddy.. But none of my friends are interested in sewing. I love having a sewing buddy nearby! 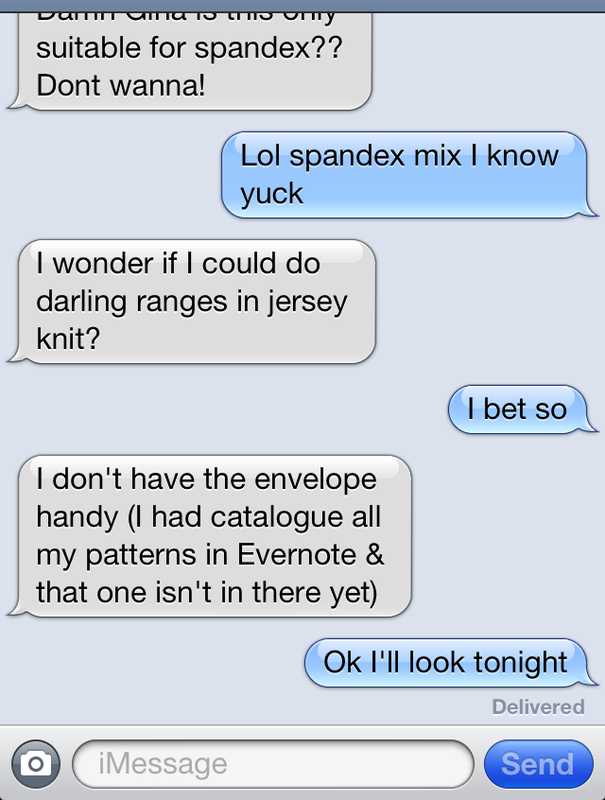 Yes, she lives about 20 minutes away and we even get to go to quilt club together. We love doing projects together...Two heads are better than one, and four hands are better than two!